Home / Support Services / Legal Services / Legal Services: fighting for the rights of vulnerable people. For Foundation, the safety of our customers in the community of our highest priority. We know very well that in order to understand the needs of vulnerable people, it is vital to look at seemingly difficult behaviours and with empathy, analyse the root causes of those behaviours. 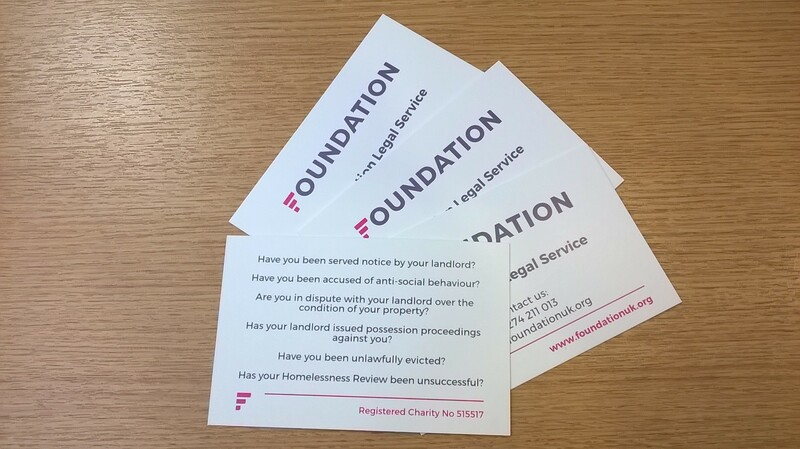 For many of our customers, the addition of the legal services to Foundation’s offering is essential in order to ensure that their needs are met and their rights, as they are in law, are realised. This case study gives a shocking example of how a vulnerable woman and her family could be living dramatically different lives, had they not received support from the Foundation legal team. (The case study has been anonymised to protect the identity of the customer). ‘ ‘Tenant A’ was living in Council Accommodation which was being repossessed due to high levels of anti-social behaviour, from the whole family. The tenant was involved in shoplifting and charged with possession of cannabis and was told to expect a custodial sentence, as she has previous criminal convictions. Her children were taken into care following accusations of neglect. We successfully defended the possession claim by disputing the evidence put before court. We presented medical evidence to show that ‘Tenant A’ suffers from Persistent Delusional Disorder with Psychosis. We were able to argue that her antisocial behaviour was a result of the delusional behaviour, coupled with her other medical conditions including learning disability and dyslexia. With this evidence, we called into question her ability to understand what was required of her to meet the terms of her tenancy agreement. Having a stable home, with the right support in place has helped this family stay together.